Zero Escape and Danganronpa are some of modern gaming’s most noteworthy adventure series. They’re also some of the darkest, most psychologically twisted games out there. Now the brains behind both series, Kazutaka Kodaka (Danganronpa) and Kotaro Uchikoshi (Zero Escape), have teamed up to form their own studio. The new studio is known as Too Kyo Games and was revealed by Famitsu. The studio currently consists of seven people, and there are four projects in the works. One is led by Kodaka and Uchikoshi, will involve all members of the team, and remains shrouded in mystery. 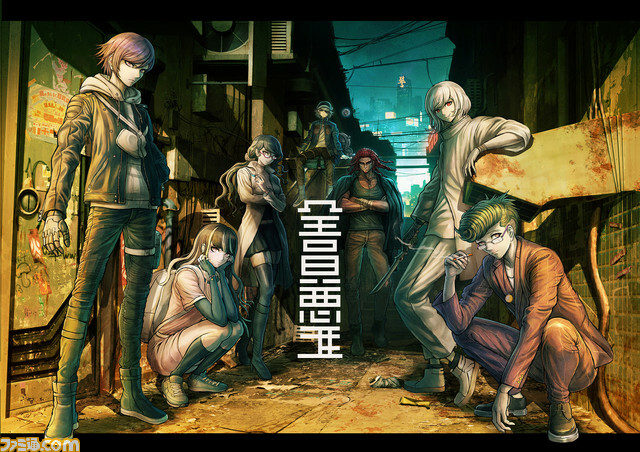 Another Too Kyo is an action-adventure game about children engaging in a “death game.” The third project is a collaboration with Spike Chunsoft and will have a cyberpunk setting. Too Kyo Games is also collaborating on a Pulp Fiction-inspired anime with Studio Pierrot. Kodaka will write it. This marks another new project from Uchikoshi. Spike Chunsoft recently-announced AI: The Somnium Files, which he is involved with. No specific platforms have been announced for any of the upcoming Too Kyo games, though both the Danganronpa and Zero Escape series can be found on the PlayStation 4.